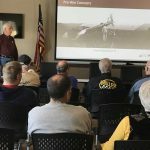 Noted author and WWI aviation historian, John “Jack” Herris gave an excellent presentation on the evolution of fighters aircraft and fighter tactics during WWI. 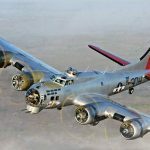 Chapter 1361 has been given the opportunity to host the EAA B-17, “Aluminum Overcast” on it’s tour of the western U.S. 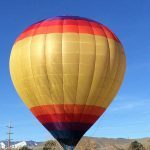 The aircraft will arrive at the Reno-Stead Airport (KRTS) on Thursday, March 30th and conduct flights and tours through Sunday, April 2nd. 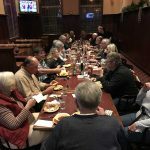 EAA Chapter 1361 held it’s annual Holiday Dinner on December 3rd where Chapter volunteers were recognized for their efforts in helping conduct Chapter events throughout the year. It was an enjoyable evening with friends and our extended Chapter family. 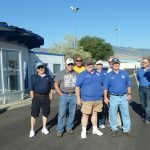 The EAA Trimotor Tour Stop at Reno-Stead was Great! 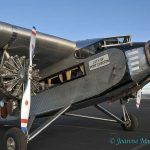 The EAA 1928 Ford Trimotor AT-5-B tour stop at the Reno-Stead airport on November 10-13, 2016 was a great success! 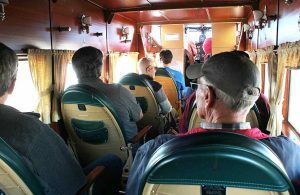 Thirty flights were flown over the weekend and over 300 passengers were able to experience airline travel as it was in the 1920s and 1930s. Click through for a photo album. Note: We continue to add new photos as they are received. Come Out and Fly the Ford! 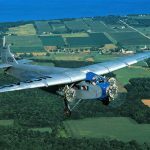 EAA Chapter 1361 is Hosting The EAA Ford Trimotor! 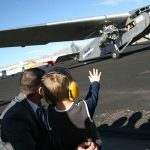 Chapter 1361 is hosting the EAA Ford Trimotor at the Reno-Stead Airport November 10-13. 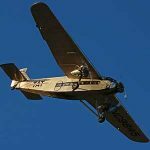 You can buy tickets for a ride on this iconic 1929 airliner to experience the thrill of commercial aviation in its infancy. Funds received are shared between the FlytheFord tour and Chapter 1361. 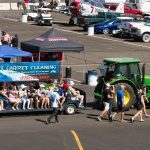 EAA Chapter 1361 provided volunteers to drive the people-mover trams during the 2016 National Championship Air Races. 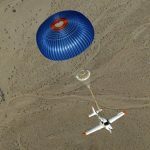 On August 13th several EAA Chapter 1361 members volunteered with or supported other aviation organizations in Northern Nevada.